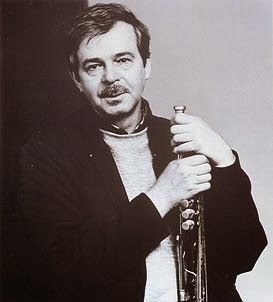 The great Canadian jazz trumpeter has passed away. His work in the 90's moved me heavily, particularly with the album "Angel Song", a masterfully melancholy outing released by ECM. He was joined by Bill Frisell, Lee Konitz and Dave Holland, a lineup that, for my money, couldn't be beat. I cherish this as one of my all time favorites. With the sadness of his passing, no music could be more appropriate.